Today, I have an awesome little tutorial that you can do in no time to jazz up your home for Valentine's Day. It's even simple enough for children, however, I suggest adult supervision. I chose to place these crafty hearts into a wreath, but they will look awesomely fabulous as a decorative banner, too! 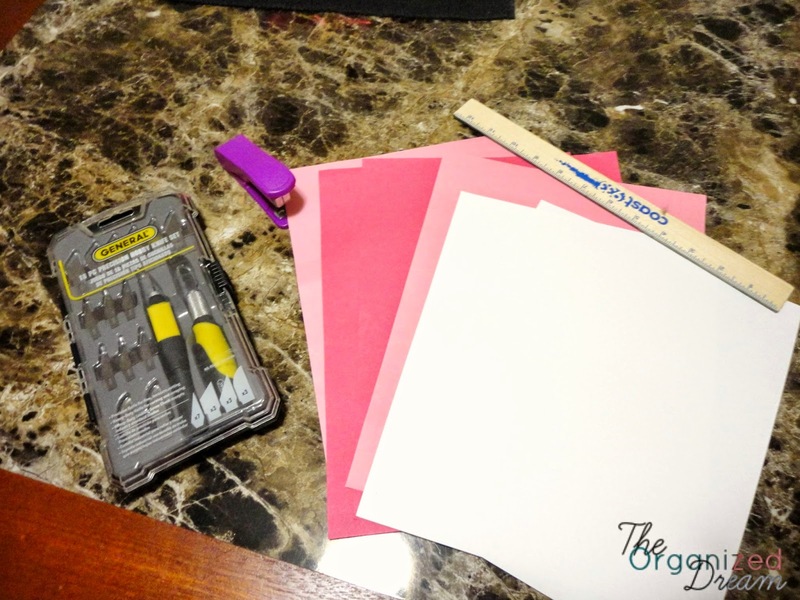 This craft is super easy and can be made with things you might already have in your home. 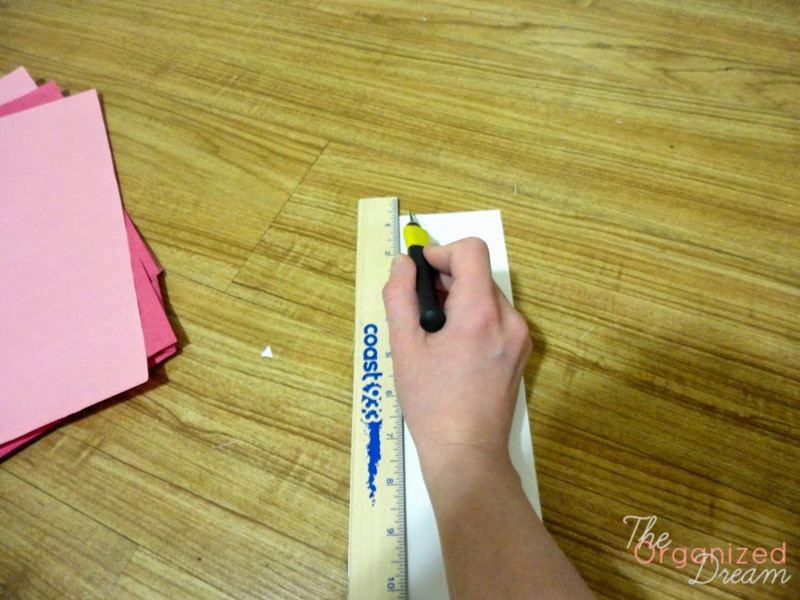 First, lets start off by cutting the papers into strips lengthwise the width of the ruler like pictured below. You'll need 6 pieces of paper (2 of each color) for each heart. 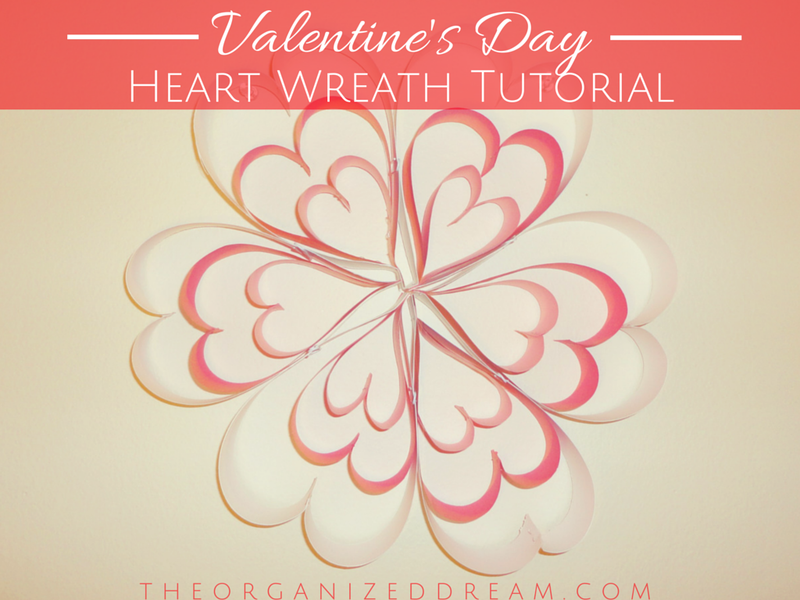 This wreath required 11 of each color to create 6 hearts. Take whichever color you decide to start with for the inner heart. I opted to use pink. Place two pieces on top of each other and staple at one end. Pull the pieces apart and bring down. This will cause a loop in the paper and give you your heart's arches. I made this the smallest of the hearts so I trimmed the excess paper when I had the right size. I temporarily stapled this heart together so I could move onto the red heart. I continued to do the same for the red one and positioned it over the pink one, trimming it also to size. You may need a helper to hold them together while you get the white one going or you could staple the red to the pink. I had the best helper ever! In the picture below, you can see how she's holding both hearts together. This is awesome! I thought this was made out of tin when I first saw the picture in the link-up. You also have a cute, little helper here! Thanks for sharing. I love this. 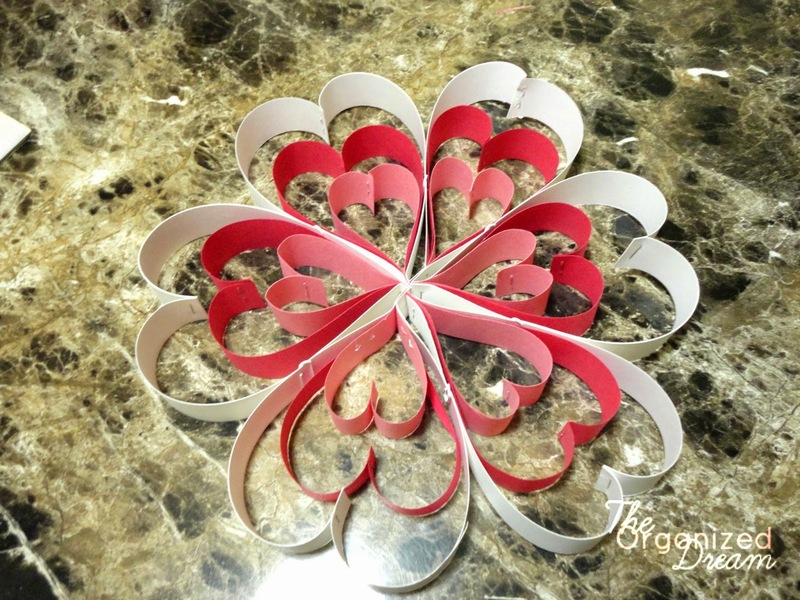 I made some hearts like this with my students, but we didn't make them into wreaths. This is such a great craft, especially for kids. I love how it has so many possibilities! Lovely project! Pinned! Thank you for sharing! 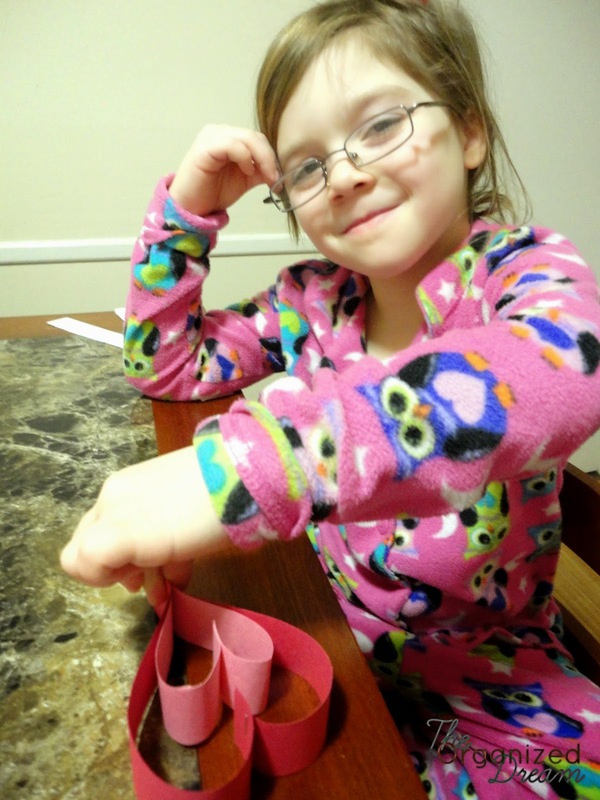 This is a really cute project and you have an adorable helper! I'd love for you to share this on our Spring Craft Blog Hop. Thank you, Beverly! 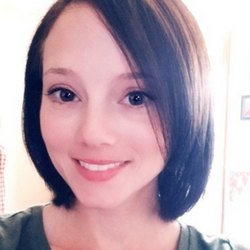 I would love to join your blog hop. Thank you for the invite! Love love this idea! I am doing a Valentine's party and I absolutely will have these hanging up! Yeah! Saying hello from the weekend re-treat! I'm so glad that you want to incorporate them into your party decor and I hope everyone loves them! Have fun! Very cute! I remember making single hearts like these when I was little. Great idea to make a wreath out of them. Thank you for sharing at What We Accomplished Wednesdays. Have a great weekend! What a fun, easy craft! Thanks for partying with us at this week's Motivational Monday link party! Hope you'll join us again next week!! That is super cute! I posted a heart craft today too. :-) Visiting from SITs. Love partying with you, Kimberly! The wreath is adorable. And it's made from such simple materials. Thanks for sharing it! I saw this on the SITS link party. What a great idea to do with kids. It is now on my to-do-with-my-grandkids list. Thanks for sharing. Thanks for stopping by! I'm glad I could inspire you! Thank-you for linking up to Bloggers Brags Pinterest Party. I have linked this post to our board. 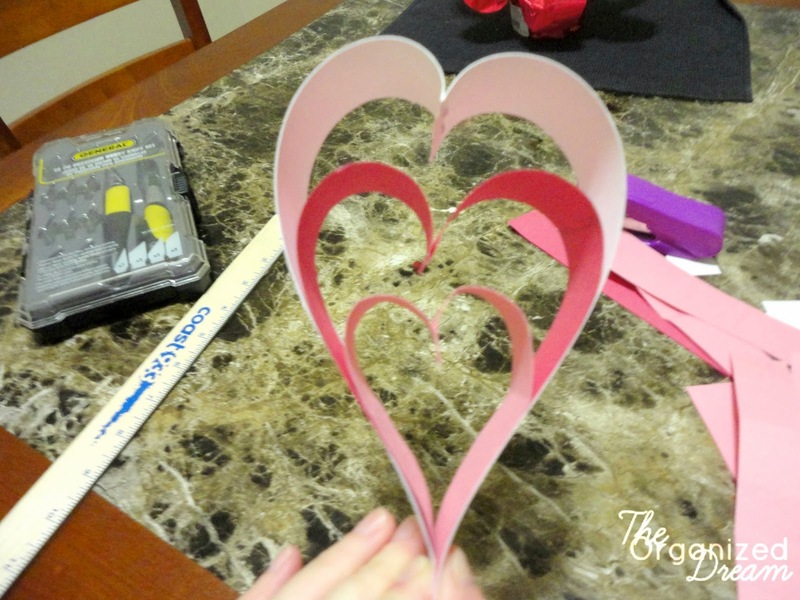 Fun craft and decor idea for Valentine's that the kids can enjoy doing with a little help! Thanks so much for sharing at Celebrate Your Story! This is adorable! And you could do it for any holiday, in whatever colors (hearts aren't just for Valentines, though pink and red may be!). Great Valentine's day craft. My daughter would love to make one of these (or a dozen...). 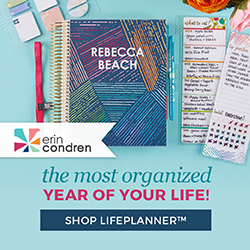 Thank you for sharing over at the Really Crafty Link Party! Pinned! Awww...your helper is so cute :-) I've done something similar to this when the kids were younger and it's so fun.